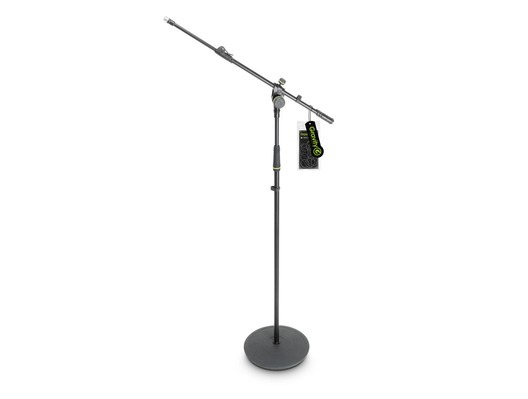 The Gravity GMS2322B is a superb quality microphone stand with thick walled tubing made from steel with a black powder coated finish. 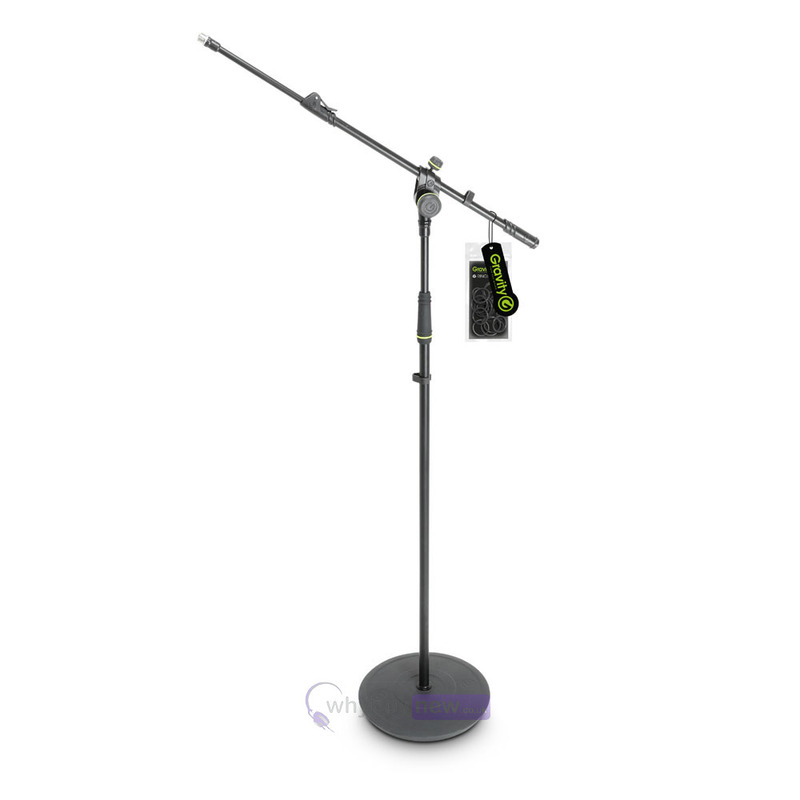 The stand is height adjustable with a maximum height of 168cm, and includes a boom arm which features 2-point tilt and position adjustment. 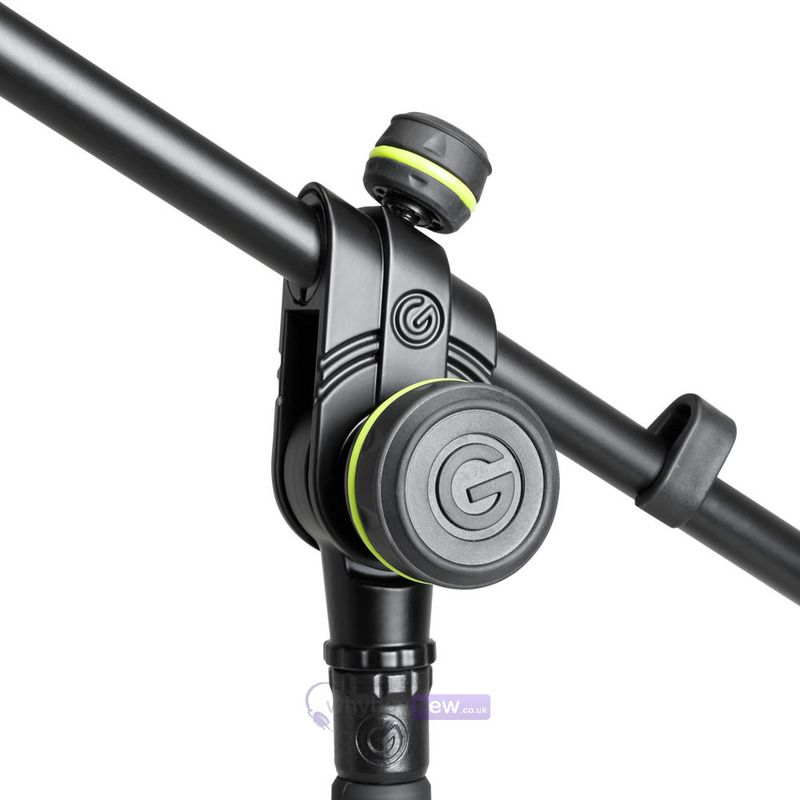 The boom hub features precision 2-point tilt and position adjustment of the telescoping boom arm. 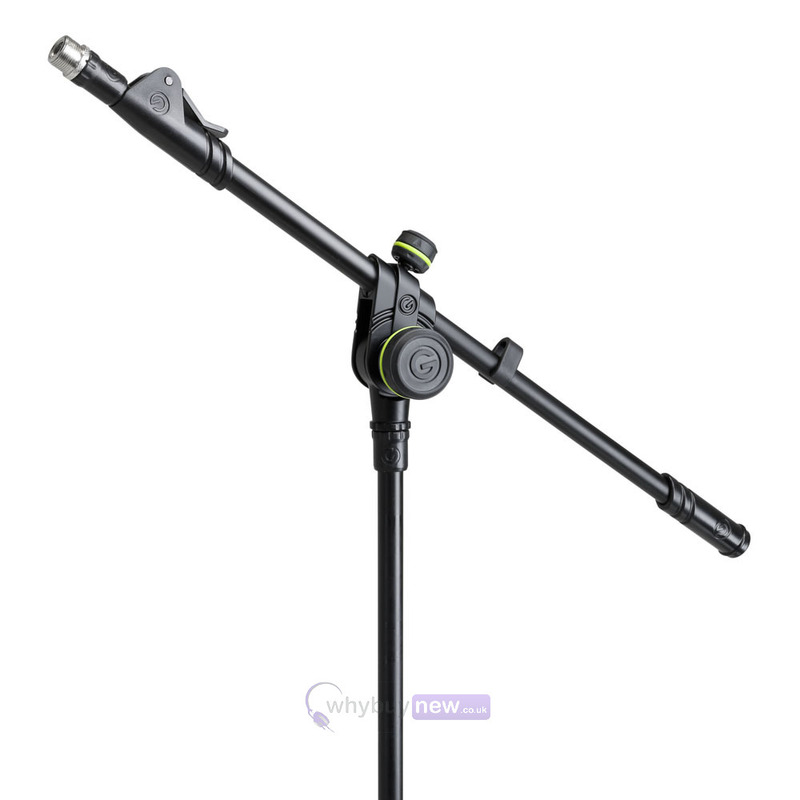 A quick fastener allows for variable extension to a maximum length of 88 cm facilitating flexible mic placement. 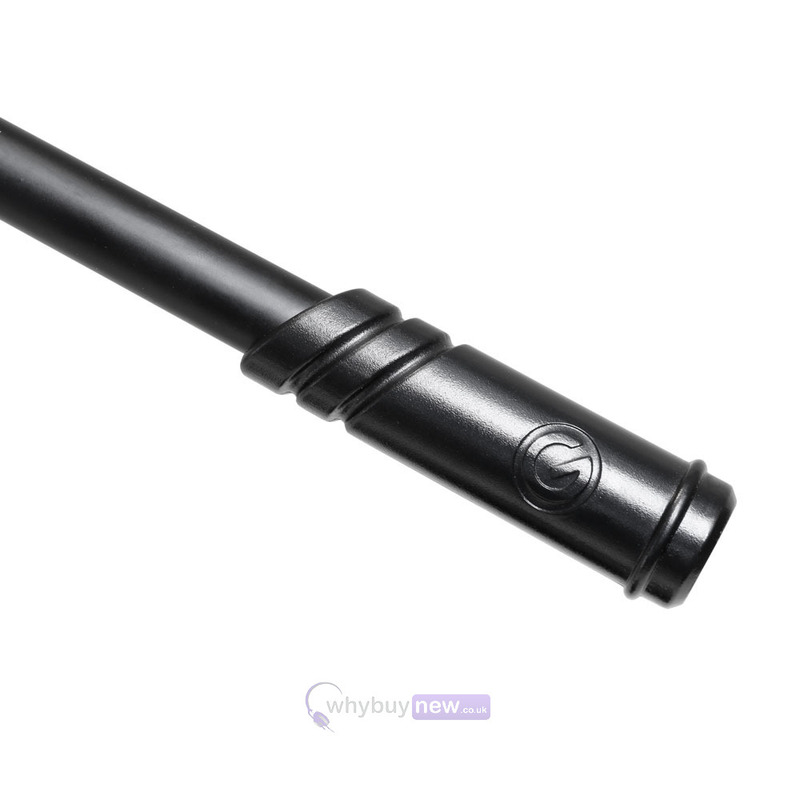 For easy height adjustment the MS 2322 B sports a smooth, durable clutch with threaded handle. 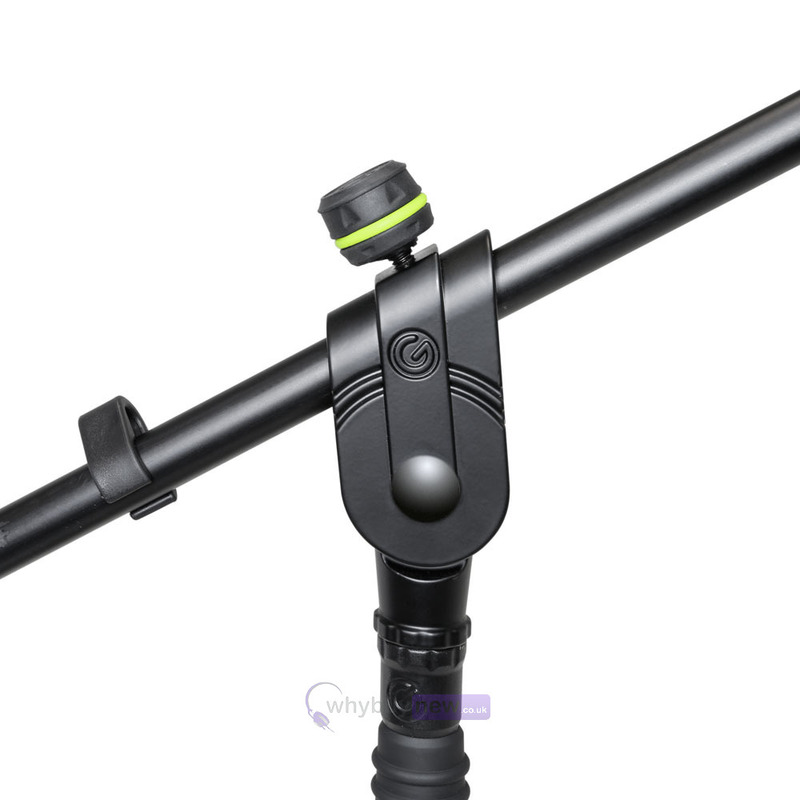 The ergonomic knobs and clutch handle are made from high grade ABS with a soft touch, non-slip thermoplastic coating for comfortable operation, and the custom designed retainer requires no tools for quick and secure microphone clip attachment.